A euphoric eruption of energy and passion, The Happy Fits’ Concentrate is the debut album every band aspires to release. It’s been a year and nine months since we first had the pleasure of introducing The Happy Fits to the world, following the runaway success of their debut EP Awfully Apeelin’ (August 2016) and its viral hit single, “While You Fade Away.” The New Jersey pair of Calvin Langman and Ross Monteith swept us off our feet with their “youthful exuberance and playful enthusiasm,” offering an infectious mix of catchy melodies and clever lyrics. The warmth of Langman’s electric cello created an especially unique sound that continues to define the band’s music to this day, but it’s no surprise that two years can have an incredible impact on any group’s musical identity. For The Happy Fits, the past two years have been a whirlwind coming-of-age journey forcing them to mature fast, hone their sound, and grow creatively – all while balancing their college careers. 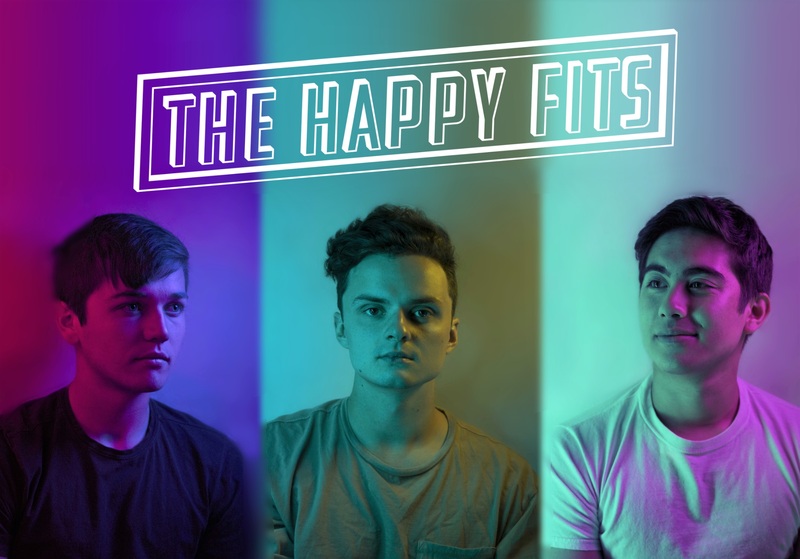 Now a three-piece thanks to the permanent inclusion of drummer Luke Davis, The Happy Fits are shining brighter than ever before, and we are once again honored to be (re)-introducing this indie rock phenomenon. 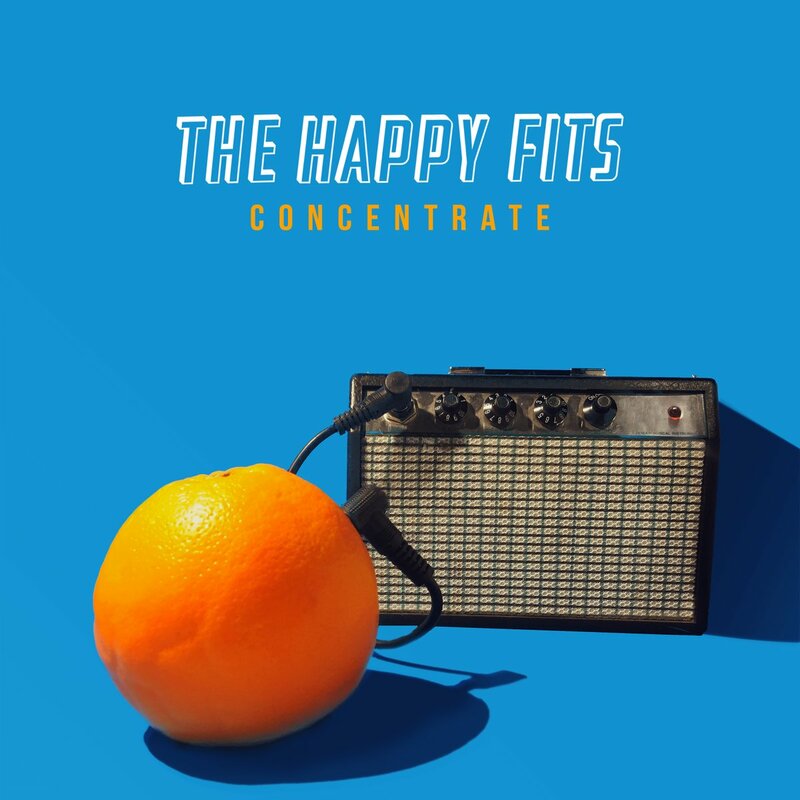 Atwood Magazine is proud to be premiering The Happy Fits’ debut album Concentrate, independently out this Friday, 6/15/2018 in partnership with Pledge Music! A euphoric eruption of energy and passion, Concentrate is the debut album every band aspires to release. It’s a perfect oasis of rock and folk warmth, spanning a full spectrum of sounds and stories as The Happy Fits strut their stuff. High-energy singles “Achey Bones” and “Best Tears” start off the record with the intense cheer and sincerity that got us hooked on The Happy Fits the first time around It’s Vampire Weekend meets Young the Giant with a fresh face and fierce sound. True to their name, The Happy Fits approach their performance with excitement – it’s obvious they have as much fun playing their songs, as we have listening to them. Yet the songs themselves are not just fun and games: “Hungry People” recounts the evils the group have heard about and experienced in the music industry. “Heart of a Dancer” hones in on our innermost desires, and what we have to do to see our dreams through to fruition. Within every Happy Fits song is a deeper truth that connects just as powerfully on an emotional level as it does on a musical level. Remarkably, this goes for every track on the eleven-song album, making Concentrate an immersive, stellar listening experience from start to finish. These college kids may even teach us a thing or two along the way. For instance, did you know that the word “limerance” is “a state of being which results from romantic attraction to another person” – one that is often involuntary, and involves a strong desire for reciprocation of one’s feelings? The Happy Fits aren’t messing around. The Happy Fits aren’t messing around. That is perhaps the most potent takeaway from Concentrate, a debut that establishes the New Jersey trio as an indie rock force to be reckoned with. In managing to make a full-length album of music that is both fun and meaningful, The Happy Fits have excelled beyond our wildest dreams. With such an infectious, intoxicating sound, who knows where this band is headed next. For now, we’re happy to Concentrate on the present. Experience the full record via our exclusive stream, and peek inside The Happy Fits’ Concentrate with Atwood Magazine as the band provide their personal take on the music and lyrics of their debut album! This is a song about all the things people will say to you after a breakup and all the different mantras you tell yourself to get over your heartbreak. This is a song about the worst moments of high school. The idea stemmed from a parent that told Calvin that high school is the “best years of your life.” We disagreed. In our experiences with relationships there’s always been two sides to a heartbreak. This song is describing the internal struggles between the confident and self reassuring side of a breakup fighting against the lasting desire and love for the person that is no longer yours. Grow Back is a story. I wanted to bring the idea of traditional folk story telling into a modern light. This song is all about a schizophrenic lady named Mrs. Mae who is planning her escape from a mental hospital. Music doesn’t always have deep personal meanings! This song follows the classic feelings of new love. In that moment, when you are with the person you love, nothing else in the world matters. This is a characterization of my desire to become a musician. There are always the voices that say “go to college, get a real job, live a normal life” but I know deep down that music is the only path for me. It’s a matter of convincing others of the same thing. Drugs are bad. This is well known. This is a song about drug addiction. In this instance, Mary is the drug. You can have everything in the world and it won’t be enough when you’re addicted. Everyone has their faults and trying to get past them is one of the hardest things to do. When you’re trying to change your ways for the better, the desires that hold you back will always be there. Getting over them is the challenge. This song is a story about a person who is painfully conscious of how damaging it is to continue romanticizing a relationship with someone who doesn’t feel the same way, but continues to do so regardless, because the small taste of happiness he feels when he’s with this person makes unrequited love inconsequential. In a relationship, the one you love can truly bring you out of the darkest places. On your worst days, they will always be there for you.